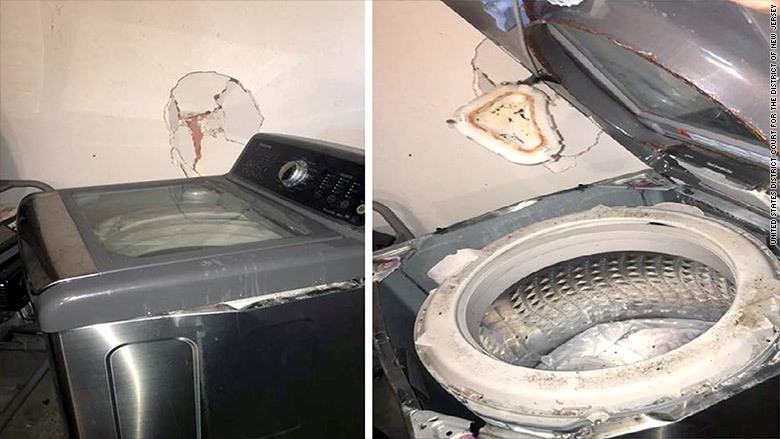 A damaged Samsung washing machine as documented by a Texas woman who claims it exploded during use. 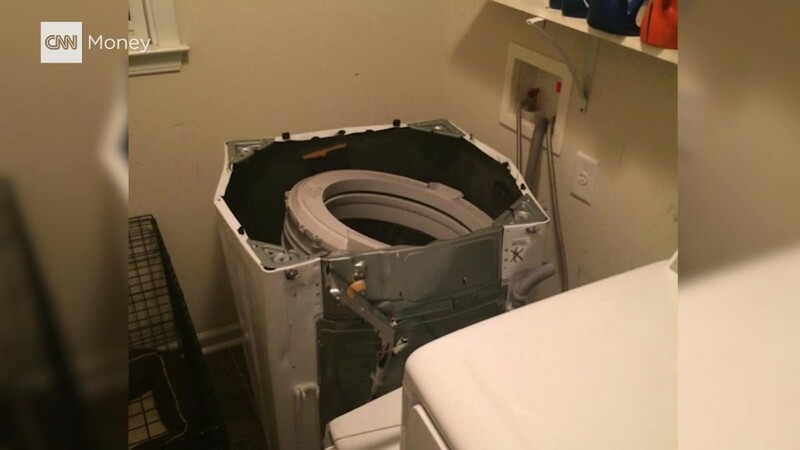 She is part of a class-action lawsuit against the company. "We're very glad that CPSC is getting involved here," said Jason Lichtman, an attorney representing the plaintiffs. "We think it's important that the scope of the problem be identified as quickly as possible." Samsung (SSNLF) earlier this month said it would replace 2.5 million of its Galaxy Note 7 smartphones after reports of battery fires. And this week, a tech worker in China, which was not part of the recall, told CNNMoney that his device burst into flames while charging.